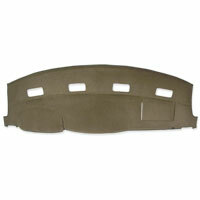 Protect the dashboard in your '06-'09 Dodge Ram by covering it with the UltiMat. 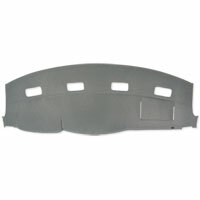 The UltiMat Dash Cover is soft molded to the exact shape of the dashboard resulting in a perfect fitting cover without stitching. An UltiMat dash cover for your Dodge Ram helps to protect the dash surface from UV sun damage and/or covers blemishes and imperfections. It will also help reduce hazardous windshield glare, keep interiors cooler in the summer / warmer in the winter, and help reduce hazardous windshield glare. Order an UltiMat today and see how easy it is to keep the dashboard in your Dodge Ram in top shape and help your truck keep its value. Great product and very pleased with the fit and quality. The only issue I have is the remount of my Edge monitor dash Pod to the dash mat. No matter what Velcro I've tried, it will not hold tight to the mat as stated by your staff in a tech article in TDR. Lesson learned; don't always believe what you read. My return netflix dvds no longer slide to the other side of the truck. It fits perfect and doesn't require the velcro to keep it on my dash, due to the flat design of the dash.